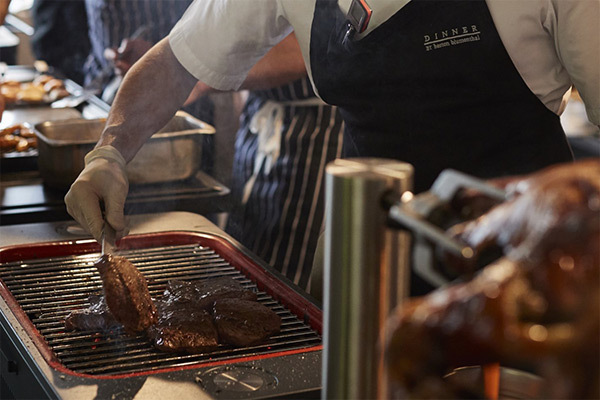 Following a successful launch in Australia at the end of last year, Shriro Australia and Heston Blumenthal have officially launched Everdure by Heston Blumenthal in the UK at a spectacular Spring Smokehouse event. Unveiling the range at Hestons pub, The Crown at Bray, chefs from The Fat Duck, Dinner by Heston Blumenthal, The Hinds Head and The Crown as well as the experimental kitchen, all came together for the first time ever to showcase the new barbeque collection. Jointly tested and developed at Heston Blumenthal’s famous development kitchen in Bray, and Shriro’s research facilities, Heston embarked on a mission to create the perfect modern barbeque. “I wanted to bring some of the techniques and methods I have developed in over 20 years in the kitchen and bring them to the great outdoors,” said Heston of the range. By combining the latest technology and design aesthetics, with ease of use and thoughtful attention to detail, he created a barbeque collection that has been designed from the ground up and promises to change how people think about barbequed food. The charcoal range improves upon the entire cooking experience from the point of ignition. The unique Fast Flame Ignition System™ in the HUB™ and FUSION™ charcoal barbeques use a clever fusion of electricity with an integrated heating element to ignite the charcoal so it is ready to cook on in 10 minutes – no need for firelighters, chemicals or taking upwards of an hour to ignite. Additional stand out features include Rotiscope Technology™; a unique integrated rotisserie system, Cliplock Forks™ and retractable power cord which are complimented by a sharp, contemporary design. The charcoal range also includes the CUBE™, a compact and versatile portable charcoal barbeque, ideal for camping, picnics and trips to the beach. Complete with integrated food grade storage area and preparation board and constructed from lightweight and durable aluminium, with sleek cool to touch handles and available in a range of colour options, the CUBE™ is portable charcoal cooking at its easiest. The gas range includes the three burner FURNACE™, and the two burner FORCE™ models. Both feature high performance burners, a die cast aluminum construction and high hood for convection cooking, as well as matt vitreous cast iron plates, large cooking areas, space saving drop-down servery and super-fast heat up. Available in a range of contemporary colours including graphite, mint, orange, red and stone allowing you to integrate style to any outdoor area. “I’m very excited to be launching my new range barbeques in the UK. For me, the enjoyment we get from barbequing comes from the whole multi-sensory experience; the smell, the sound, the flavour of the food filling in the air and visually through the theatre of the cooking. 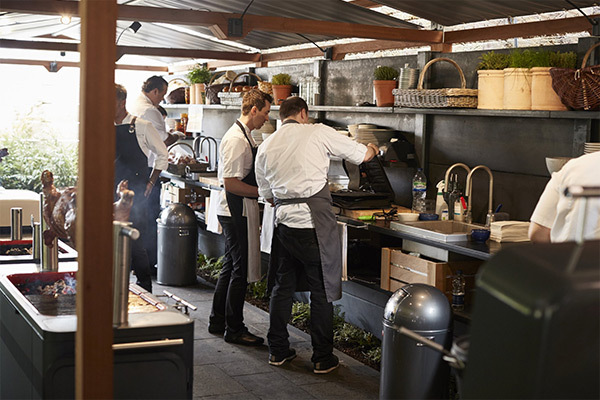 We have spent a lot of time making sure each and every product is just right, pushing the boundaries in outdoor cooking to enable the ultimate innovative yet emotive cooking experience,” said Heston Blumenthal.